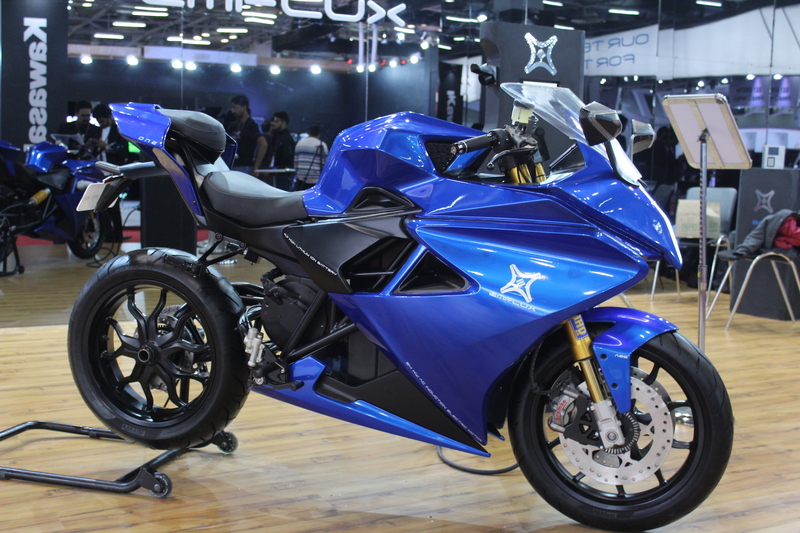 The Emflux One is currently powered by a liquid-cooled 50 kW (71 hp) motor capable of providing 84 Nm (62 lb-ft) of torque along the bike’s single-sided swingarm. That power helps the Emflux One achieve a 0-100 km/h (0-60 mph) time of just 3.0 seconds. The bike weighs 169 kg (373 lbs) and should be capable of travelling up to 200 km (121 mi) on a single charge of its Samsung battery. The company hasn’t discussed the charging technology in detail but claims that a 0-80% charge should take just 36 minutes. With the bike still in prototype form, Emflux believes that the final specs could improve further.